In the past, we’ve posted Gore Mountain snow totals on the blog. The narrow format of the blog, while appropriate for trip reports and other content, is not well-suited to the tables required to record dozens of data points that the winter season can present. We’ve recently created a section in the NY Ski Directory for Historical Weather Data and will begin moving our annual Gore snowfall snow totals and long-term averages into that section. Numbers will be updated as snow falls. One small comment – my understanding is that the elevation where Gore measures snowfall is not 1500’…is it? 1500′ would be roughly the base lodge elevation. Thanks for posting Harv. Hard to believe this was an “average” year. Felt like we got more “big” (8-12) storms than the totals reflect. I think the combination of mostly cold temps, good snowmaking strategy, and consistent smaller(ish) dumps made for a great season week in and week out. There were no 18-24+ storms but the 5+ ones I got to ski were all fun. Would be interesting to hear where and how the totals are measured. At times their condition report is posted in advance with snow that hasn’t fallen yet based on forecasted amounts. I asked the question about how snow totals were figured a few years ago. Marketing told me she called around to get totals and then did a rough average: Ski Bowl, Top of Bear, The Saddle and a measurement from at the base. We made the assumption about the elevation because up until this year, I was consistently seeing more snow at HQ (1900′) then in the Gore report. I’ve been at Gore on days when there was three inches above 3000 feet and nothing at the base. The elevation column allows us to report that snowfall if we choose. I admit it’s not easy to discern cumulative snow totals from the Gore report. I checked my numbers against Gore’s about midway through the season (they were kind enough to share) and we were in reasonably close agreement. What was above average about this season was the consistency of cold temps in the second half. Very good addition. I think it is less important as to what station is reported but rather that the data is consistent. This season was very good and the numbers show this. To me, I did miss the fact that we did not get a few more big dumps. This also does not show the effects of the BIG Jan double thaw we had this year. When I add up the # on the page for the Gore season snowfalls, I only get 153.5 inches not the 154.5 Inches listed. Could one inch be missing someplace. Easy to miss one of those. Thanks for all your fantastic efforts. I came in a fair amount higher, let’s touch base. I’ll repeat the question/rant that’s been asked hundreds of times — exactly why does Gore not provide a YTD total? ORDA has done a ton of work bringing Belleayre’s ops, marketing, and pricing in line with the other two state-owned mountains, so why does Gore get this special dispensation — and add to Harv’s round-the-clock responsibilities for this site? If the mountain’s official natural numbers are far below those of its VT neighbors, so be it. Mountain Creek, NJ publishes its sickly snow totals and Hunter seems to be doing great business with YTDs that are noticeably below the western Catskills hills, which have not exactly been breaking records the last couple years. Snow is snow – the big disconnect is the density. December saw a moderate snowfall with lots of sleet and freezing rain. It ended up being only about 5-7 inches of “stuff” but was the equivalent of a foot or more. LP didn’t get that snow and the BC and XC skiing in North River was better all year with that base builder early on. 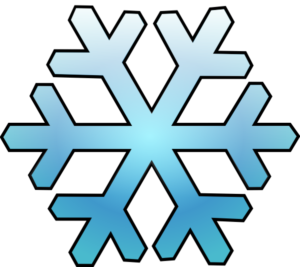 Another “snow” metric is gpm – gallons per minute or per hour. How much water can Hunter, Killington or Gore put on the hill per hour? UPDATE: All the Gore Mountain Snow Data has been moved to the directory. Danzilla you are right. We really only had 4 double digit dumps at Gore.